With the end of summer looming and a new school year and theatre season on the horizon, we thought we’d take a bit of a break and head down the coast to spend a bit of time with our daughter and granddaughters. We started this Newsletter just over a few years ago and we have been very fortunate in our ever-increasing number of subscribers. But we also realize that many of you haven’t had time to go back and read all of our articles, and so we thought we’d share a few with you while we’re lounging away on the beach, watching our granddaughters play! In this post, we revisit some of the great and phenomenal playwrights The Theatre Guild has worked with over the years…enjoy! 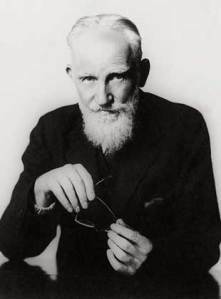 George Bernard Shaw—possibly the greatest playwright of the century—had 14 plays produced by The Theatre Guild. 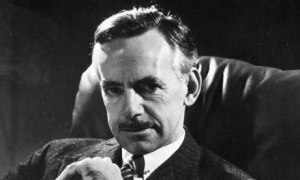 The Theatre Guild produced 9 of Eugene O’Neill’s plays. 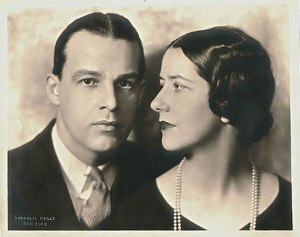 Alfred Lunt and Lynn Fontaine starred in 25 plays on Broadway for The Guild over a 30 year period from 1925 to 1956. 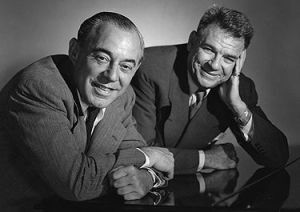 Richard Rodgers and Oscar Hammerstein II, who wrote Oklahoma! 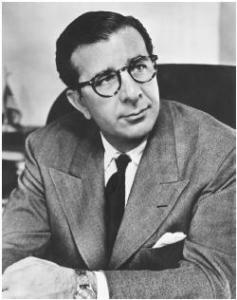 at the suggestion of The Theatre Guild and collaborated with The Theatre Guild to create Carousel and Allegro. Of course, we can never forget Dore Schary—who wrote Sunrise At Campobello, which we produced and then later adapted to our current running play FDR, starring Ed Asner, which will be performing in Laguna Beach, CA in November, and Chicago in April 2015.